Office - Classroom "EVERYTHING KIT"
The All-in-One Emergency Preparedness Solution. 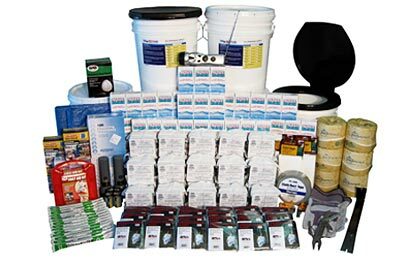 Emergency kits perfect for any school and budget. In addition to being able to take care of students and staff during an emergency, many schools are also emergency and disaster shelters for the surrounding community. Prepare for short or long term school lockdown and emergency conditions with affordable supplies that include food bars, water, light sources, hygiene, first aid and other necessary equipment.